An old unused (working) mobile charger. A 2×2 0.1″ pitch male pin header. A LED of any color, any shape. I used 0603 SMD LED. A 1K resistor. I used 0603 SMD resistor. First of all, cut the mobile charging pin and take out the wires. Strip the wires and measure with a multimeter which one is +ve and which one -ve while powering the charger. Solder the wires so that they become straight and neat. 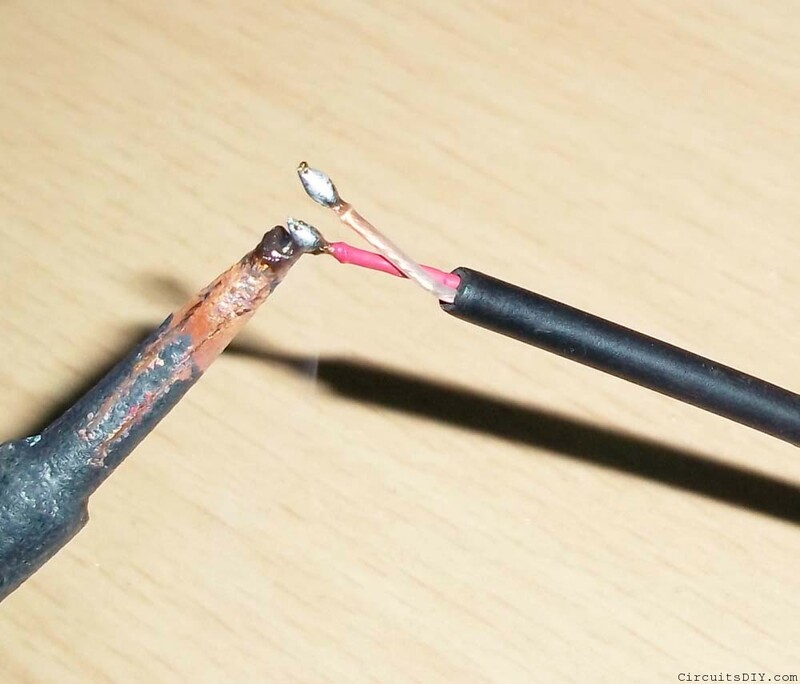 In my case, the +ve one was the red wire and the -ve one was the white wire. YMMV. 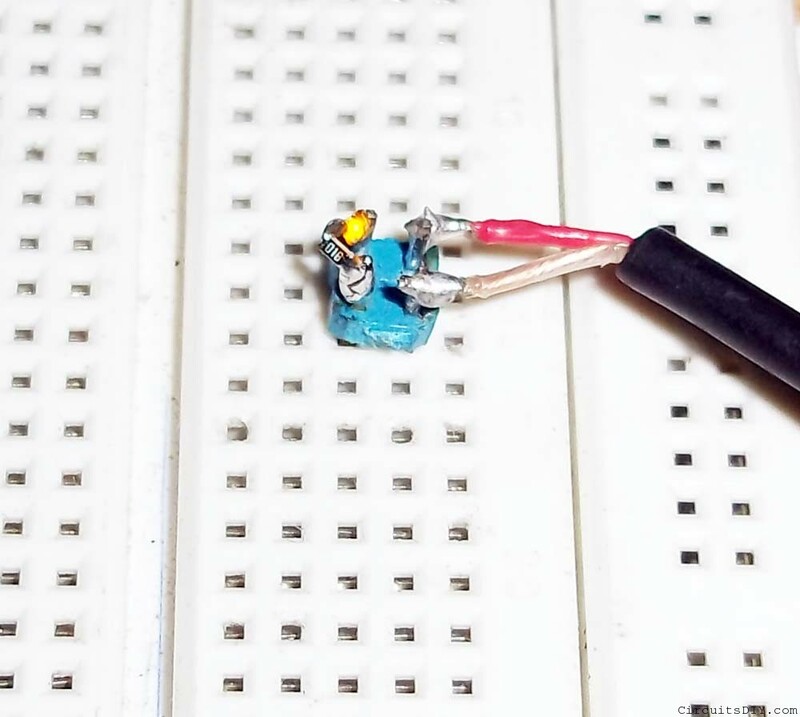 Insert the 2×2 pin header in any place of breadboard, and solder the +ve and +ve wires to any two pins. (Dont solder diagonally). Then solder the LED and resistor as a series combination to the other two pins. Make sure that the LED+resistor’s +ve side goes near the +ve side of the adapter and -ve side to the -ve side of the adapter. Now power on the adapter with the pin placed on breadboard like above so that the +ve and -ve from power supply can light the LED. If the LED lights, everything is successful. Now I just used a blob of hot glue to secure the setup. When the power is on, the yellow light of the LED makes the whole blob glow and it looks great. Mobile charger: They are rated at 5V and 500mA which is a nice supply voltage and current for breadbaords. 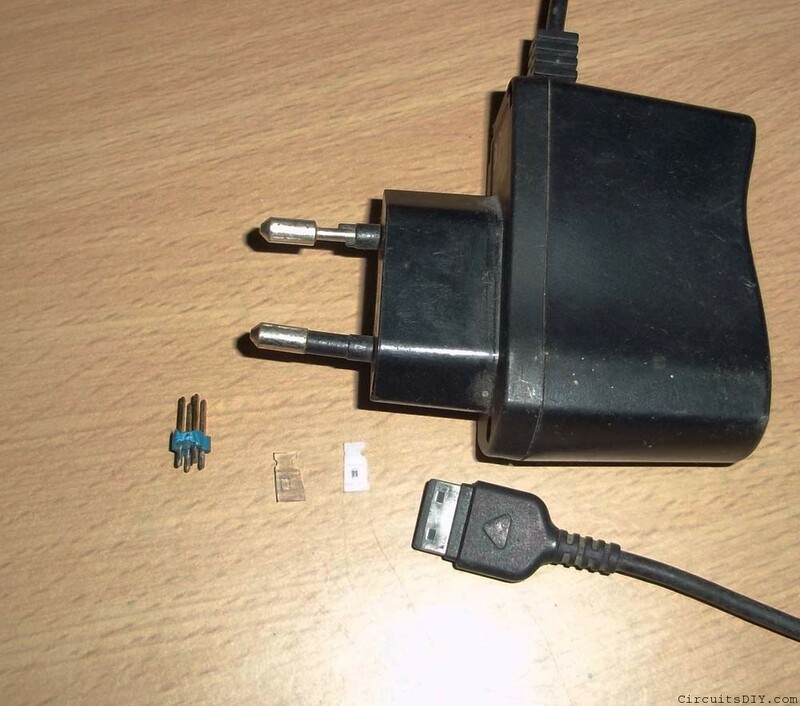 Mobile chargers are cheap, easily available. There maybe one in your home too, unused. 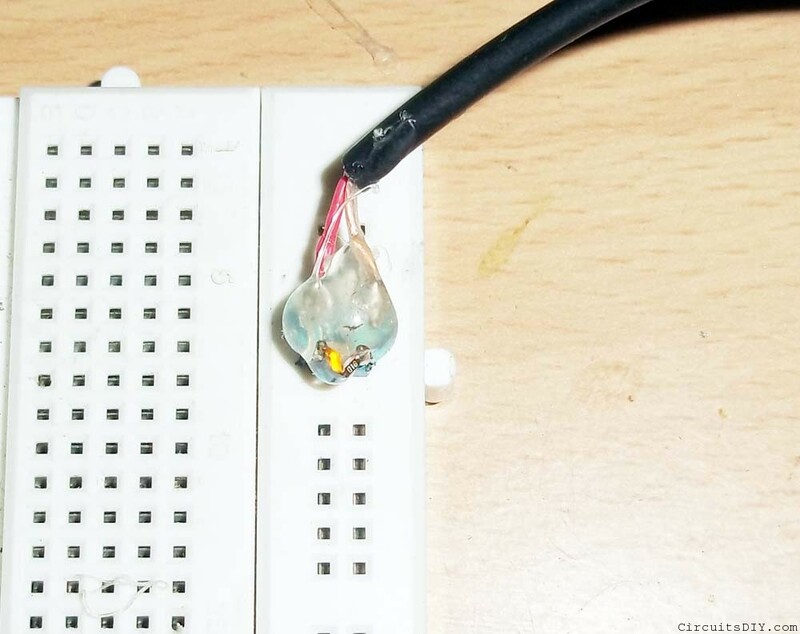 2×2 pin header: LED is connected in such way that only if planted in breadboard, then it gets voltage from the charger and glows. 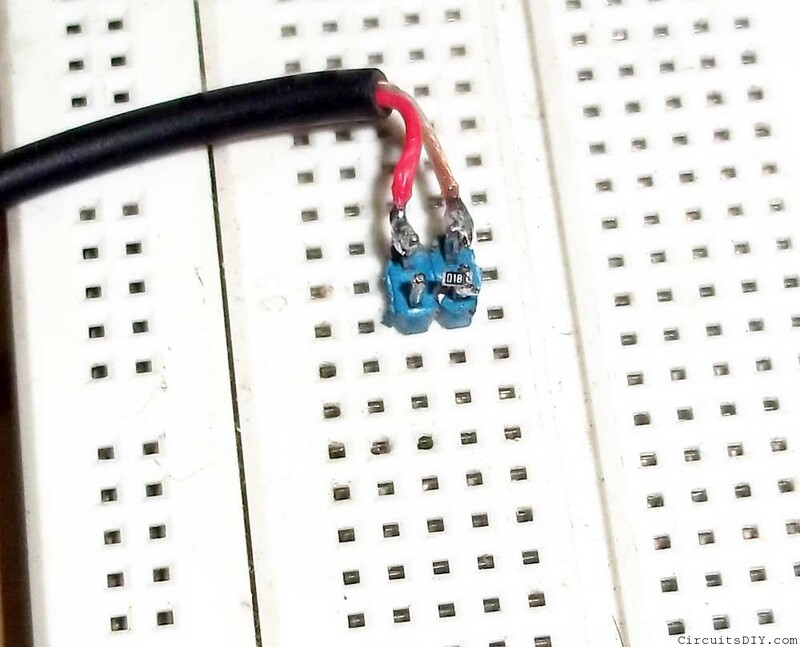 This ensures that the breadboard has received a good power supply as the first two pins give supply from charger to the breadboard and the LED gets voltage through resistor from second pairs of pins which gets voltage from breadboard. It’s a simple 5 minutes job.